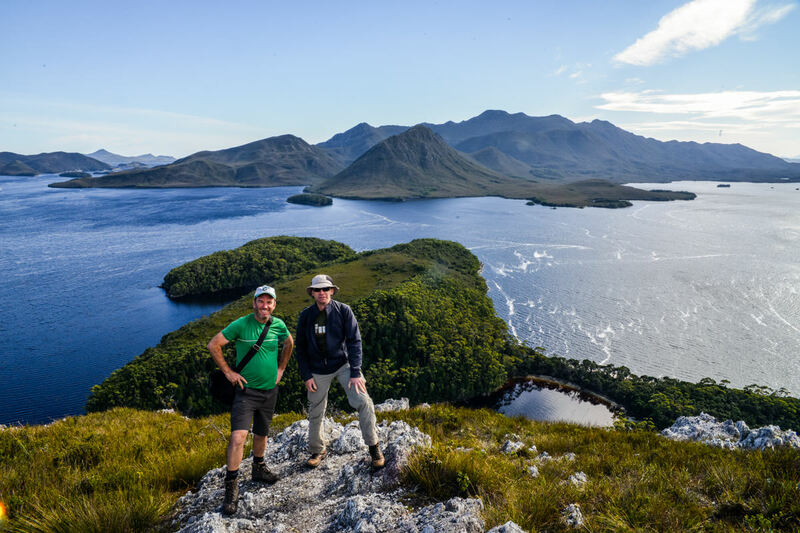 The Port Davey region of Southwest Tasmania is one of the most spectacular landscapes on the planet, with wild rivers, quartzite peaks and extensive waterways. There are no roads in this area – it is only accessible by foot, boat or light aircraft. 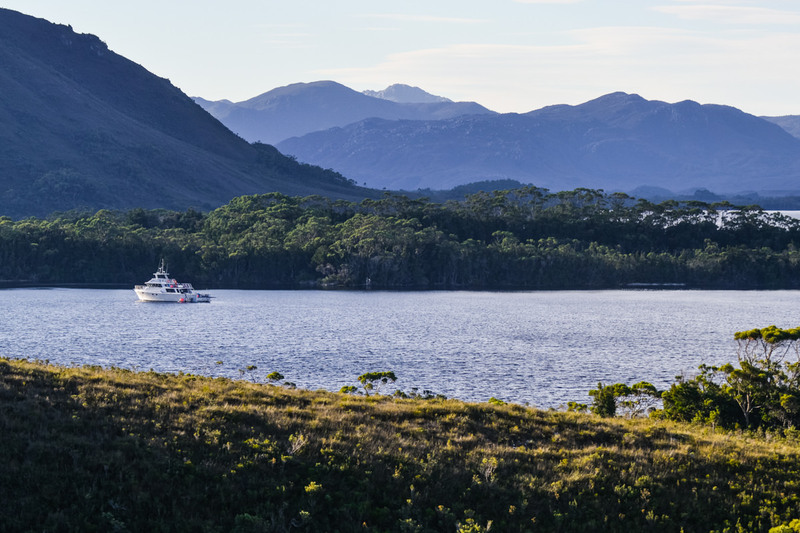 Bathurst Harbour, a sheltered waterway south of Port Davey, is a Marine Nature Reserve and part of the Tasmanian Wilderness World Heritage Area. Although this beautiful place might seem like it’s the edge of the earth, it is far from the end of the world; there’s an endless possibility of things to do, places to see & experiences to enjoy. Popular activities include jet boat excursions to explore coastline and rivers, hiking and beachcombing, swimming, wildlife spotting and learning about the history & culture of the area. Included below is a more in depth overview of just a few of these highlights. 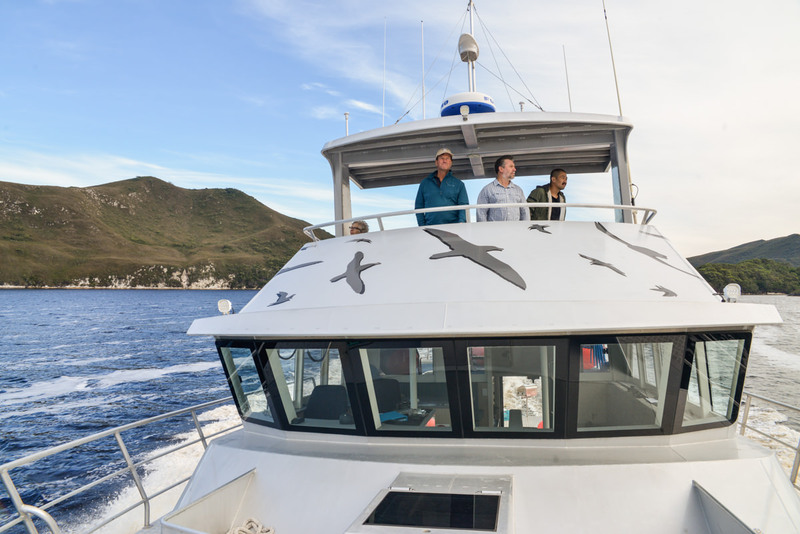 If there’s anything in particular you are interested in seeing or doing while in Port Davey, please let us know and we’ll endeavour to include this in your itinerary. All itineraries are tailored to our guests own interests and can be as active or as relaxing as you like. Let your imagination run wild in the wilderness! Davey River is the only major river system in Australia totally untouched by man. Explore the winding, tree lined bends of this pristine riverine environment in our jet boat. Cruise past Huon Pine growing in the banks of the river. Cruise through the still, mirrored waters of Bathurst Harbour, exploring its tree lined beaches, rocky coastline and the rivers which feed into it. Another pristine riverine environment to explore in our jet boat. These waters feed straight into Bathurst Harbour. You’ll have the chance to spot King Fishers on the water’s edge. A beautiful group of tiny islands nestled right in the middle of Bathurst Harbour. Their tree lined beaches are the perfect spot for a sunset drink. The Breaksea Islands guard the entrance to Port Davey. Aptly named, these islands protect the harbour from the wild swells of the South West Coast. In our tender, we’ll cruise through the rushing channels of these wave & wind battered islands, exploring their impossibly rocky coastline, blow holes and hidden sea caves. A 4km long beach with pristine white sands and huge dunes. This beach borders on the Southern Ocean, and can be reached by a short hike overland from Spain Bay. These amazing rock formations are dotted all along this coastline. Explore the myriad of sea caves on the Breaksea Islands. This area has a rich history. Learn about its anthropology and hear the tales of the characters who shaped the region’s more recent history – from romantic but doomed explorers to hardy Huon Pine lumberjacks to fisherman and whalers. Recognisable names include Deny King, Critchley Parker and Clyde Clayton. Go back further still in time and discover the evidence of a long indigenous occupation in the area. Deny King was a tin miner who followed his father Charles to Melaleuca in 1936, where he built a house for his family on the banks of Moth Creek. In later years he built an airstrip for light aircraft which allowed easier access to the area. He was instrumental in preserving the habitat of the orange-bellied parrot. Deny died in 1991. There is a copy of his biography ‘King of the Wilderness’ on the boat. Critchley Parker disappeared while searching in the Port Davey region for a site to establish a Jewish enclave. His body was found some months later. There are some intriguing rumours surrounding his expedition to Port Davey and his disappearance. In this quiet corner of Bathurst Harbour, nestled into the edges of the rainforest, you’ll find the home of Win & Clyde Clayton, two famous locals who made a home in this wilderness for many years. Their sheltered nook has been turned into an interpretive site. It’s a great place to spend some time exploring and learning about the region’s history. The mining of the past has left a rich heritage of objects and stories. We can explore the old tin mine site & other old mine structures. Port Davey & Bathurst Harbour has many remnants of Aboriginal occupation, including middens and cave markings. Discover these sites with us. This interpretive walk shares the story of the Needwonnee people of the Southwest with innovative interpretive installations along a new 1.2km boardwalk. The path weaves its way through the forest and buttongrass plains beside Melaleuca lagoon. There will be plenty of opportunities to stretch your sea legs with a hike. Peaks such as Mt Rugby, Mt Stokes, Mt Beattie and Balmoral hill offer top-of-the-world vistas of distant ranges, languid waterways and remote coastline. For those wanting something less heart-testing, there are also plenty of walks along deserted beaches and through the rolling, pre-historic hills. From Spain Bay, a two-kilometre track across the buttongrass moorland leads you to Stephens Bay. Here you can check out the Southern Ocean weather, see seals on rocks and take a walk along one of the most remote and wild beaches in Tasmania. This walk from Joan Point at the Bathurst Narrows to Melaleuca crosses buttongrass moorland along a section of the Port Davey track. This steep, challenging walk climbs to the highest and most prominent peak bordering the marine reserve. The 360-degree wilderness view from the summit is acclaimed by many as the best in Tasmania. This is a must-do if the weather and fitness allow. A steady climb through low scrub and buttongrass moorland, with great views over Bathurst Channel. This walk is a get your bearings of a waterway 3 times the size of Sydney Harbour. A short walk to a small peak for wonderful views over Bathurst Harbour, Melaleuca inlet, the Celery Top Islands and Mt Rugby. Fisherman Clyde Clayton built a house near the entrance to Melaleuca inlet and lived there with his wife, Deny King’s sister, Win. Clyde put his TV antenna on the top of this hill. The summit of Mt Beattie provides the best views over Bathurst Harbour, Bathurst Channel and Melaleuca Inlet. 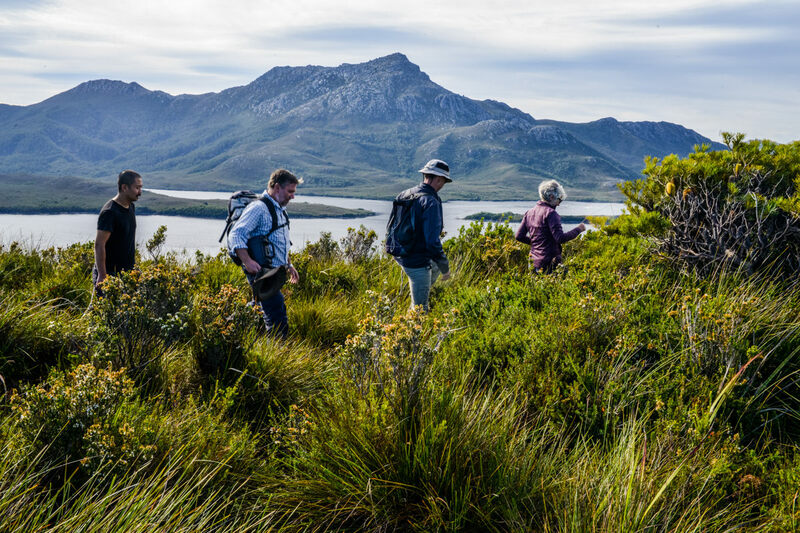 Explore the coastline outside of Port Davey & Bathurst Harbour on a day trip, weather conditions allowing. The vessel Odalisque is custom-built for travelling comfortably through these Southwest seas, giving our guests a unique opportunity to visit places very few people ever see. Maatsuyker Island is part of a group of island & rocks famous for their rich marine wildlife, predominantly wet and windy weather conditions and Australia’s most southerly light house. The swells regularly reach 6m (sometimes even up to 10m), wind gusts have been recorded at 176km/h and there is an average of 249 rain days a year. It’s a wild and beautiful place! Pieter, your skipper, regularly dived these waters as an Abalone diver. In fact, it’s his favorite spot on the coast! 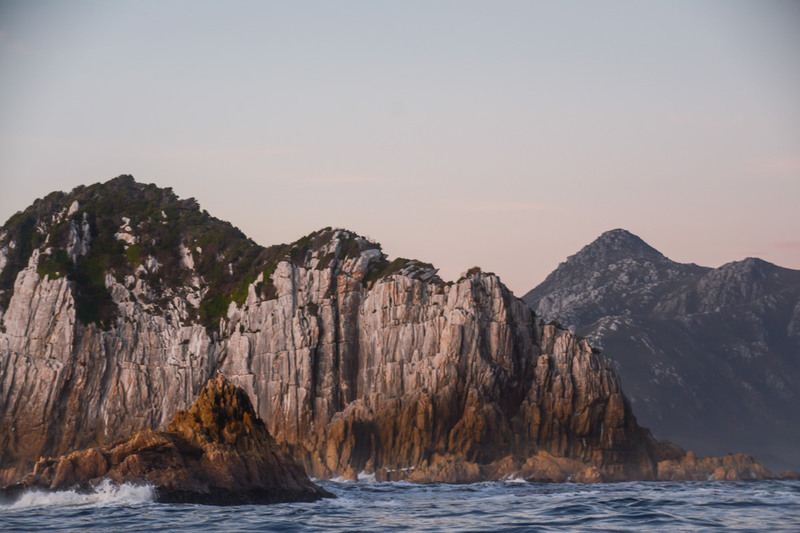 Visits ashore to the island, a 2.5hr journey south of Port Davey, are no longer possible due to the protection of a very special fur seal colony, but anyone joining us on the voyage from Hobart to Port Davey (or visa versa) will be able to admire this beautiful, desolate island from afar. Here you can explore the rocky foreshore and other sites of special interest. There are also beaches to wander along and rock pools which often hold the elusive southern rock lobsters – you may see their feelers above the water line as they crawl along the shallow bottom. Low Rocky Point is approximately 1hr north of Port Davey. The Shank is a good anchorage for fishermen. Your skipper Pieter has sheltered here in swells of around four metres. From the Inner Shank, it’s possible to go ashore and explore the coastline. The Shank is approximately 1hr north of Port Davey. Visit the Giblin River, 45minutes North of Port Davey. See large sand dunes and a walk along the beautiful sandy beach. We can explore the river & inlet in our tender. Interesting sites include some very unusual and evidence of Aboriginal occupation in the area. Mainwaring Inlet is approximately 2hrs north of Port Davey. Journeys aboard Odalisque beyond the entrance to Port Davey may be subject to a $250/hr fuel levy, to be shared between all guests. The rare and threatened orange-bellied parrot is one of only two species of migrating parrots. 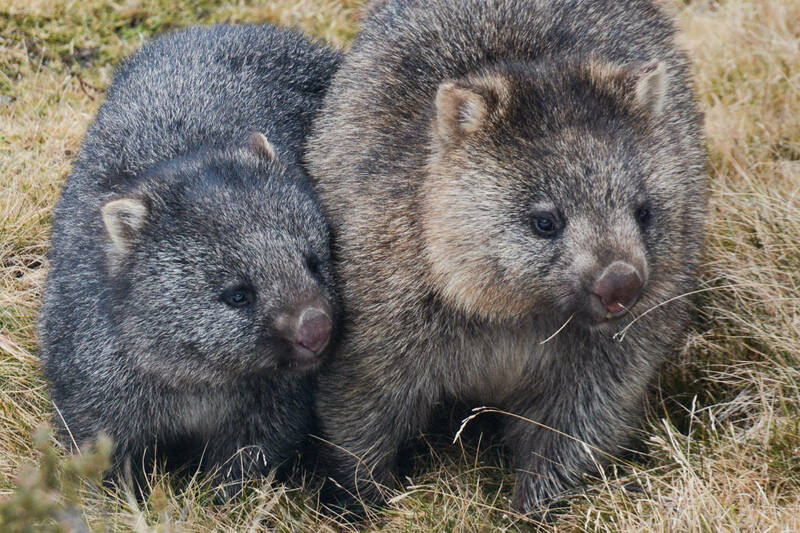 They only breed in Southwest Tasmania, generally within 20 kilometres of Melaleuca, where they nest in hollows of eucalypts bordering on buttongrass moors. The breeding season is October to January. There is a viewing hide for orange-bellied parrots at Melaleuca. With the help of your guide, set up night vision motion detection cameras. Review footage in the morning to see what the local animals have been up to overnight. 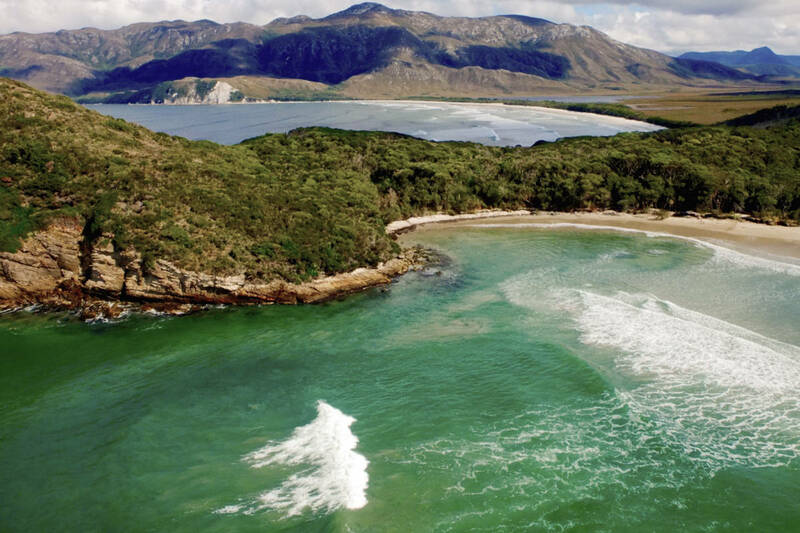 Swim in the tannin stained waters of Port Davey at one of the inner harbour beaches, or brave the crisp blue waters of the Southern Ocean with a dip at a coastal beach. On a hot day, swimmers won’t have to travel far at all, with one option being a dip right off the side of Odalisque. Available at various sites along the coastline. 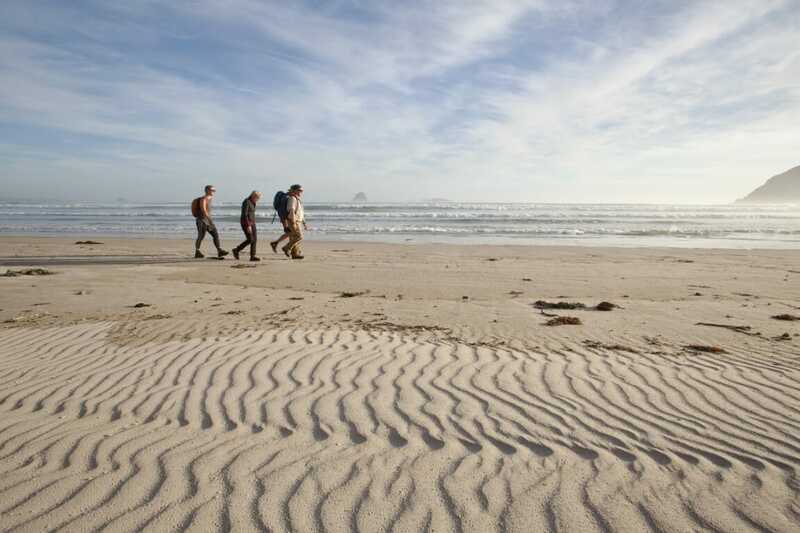 You’ll have the chance to see local fish life, shell fish as abalone, and the kelp that lines this part of Tasmania. Should this activity be of interest, please bring your own snorkelling equipment. Kayaking the waters of Bathurst Harbour’s beautiful wild and remote region is an unforgettable experience. We can arrange to put kayaks on board or you can bring your own kayaks. You can choose the length and location of your paddling trip and the Odalisque will meet you at the end of the day. Diving is an activity that you would need to enquire about well in advance as Bathurst Channel is one of Tasmania’s most unusual, environmentally sensitive and difficult dive locations. The waters of this marine reserve are dark with tannins from the buttongrass moorlands in the headwaters of the rivers. Some of the fragile animals in the reserve include sea pens, sea whips, sea fans, corals, anemones, sponges, hydroids, zoanthids and more. Click on the Enquire now button with dates and we’ll see if we can cater for you. This activity is for experienced divers only. Dine in your own private floating restaurant serving fine Tasmanian fare and cool climate wines. Your boutique floating hotel, custom-built by Tasmanian owner and operator for this Southwest experience. Read what our guests’ loved about this 5-star TripAdvisor ranked experience.